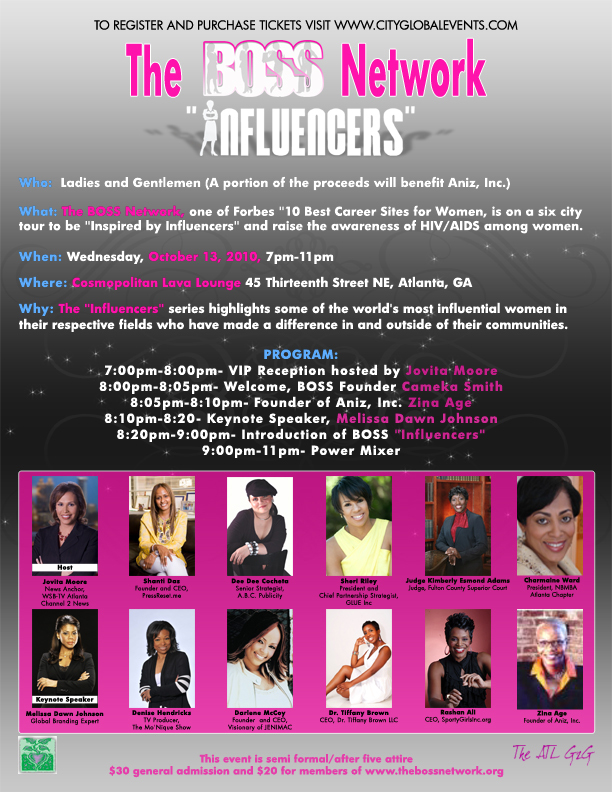 The BOSS Network “Inspired by Influencers” is coming to Atlanta! 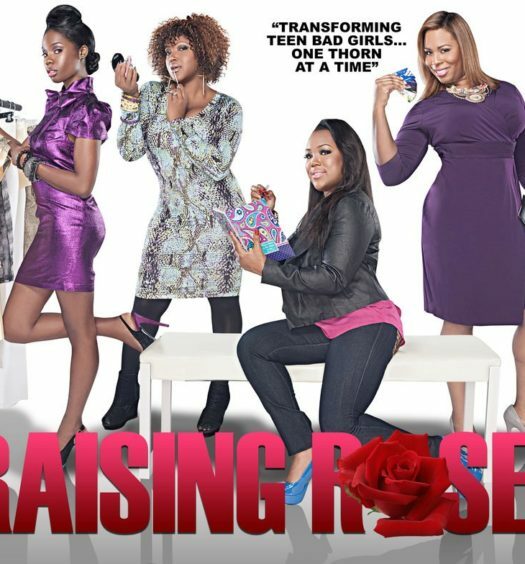 The purpose of this event is to highlight the gifts and talents of ten women in the fields of Business, Entertainment, Health & Wellness, Arts, Sports, Fashion, Education and more in various cities across the country who have branded themselves as a successful influence among peers and associates, alike. BOSS wants to take the time out to recognize each of these women for their magnanimous steps towards their individual successes and honors them for their determination and accomplishment in their respective fields. 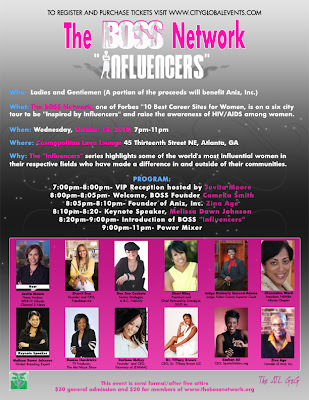 Atlanta Influencers include Melissa Dawn Johnson – Global Branding Expert and hosted by Jovita Moore – News Anchor, WSB-TV Atlanta Channel 2 News, Shanti Das – Founder and CEO of PressReset.me, Dee Dee Chocheta – Senior Strategist, ABC Publicity, Zina Age – Founder and CEO of Aniz, Inc., Sheri Riley – President and Chief Partnership Strategist for GLUE, Inc., Denise Hendricks – TV Producer, The Mo’Nique Show, Darlene McCoy – Founder and CEO of Visionary, JENINAC, Judge Kimberly Esmond Adams – Judge, Fulton County Superior Court, Dr. Tiffany Brown – CEO of Dr. Tiffany Brown, LLC, Charmaine Ward – President of The National Black MBA Atlanta Chapter and Rashan Ali – CEO and founder of SportyGirlsInc.org. Wanna join us? Click HERE to register. 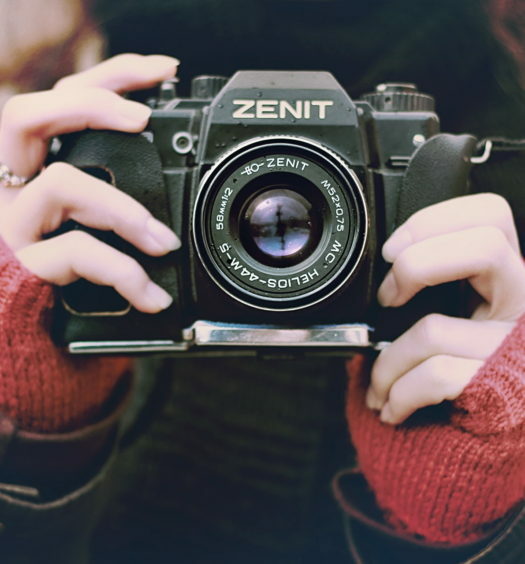 Thank you so much for your support…Please visit http://www.thebossnetwork.org.